The NYPD and NYFD hazmat teams investigated a suspicious white powder mailed to the Wall Street Journal. NEW YORK - Authorities investigating white powder found Wednesday in envelopes at the Wall Street Journal in New York and Harvard Law School in Massachusetts said it was harmless. Police evacuated about 250 people from the Journal's Manhattan newsroom and executive offices after about a dozen envelopes were found. FBI spokesman James Margolin said five employees were decontaminated as a precaution. They had been released from quarantine and were in good health, a newspaper spokeswoman said. A newspaper spokeswoman said the New York mail was addressed to several executives. The postmark was Knoxville, Tenn., but each letter had a different return address. Each contained a blank piece of paper with the powder. The New York Police Department said the envelopes might be linked to mail with white powder, also declared harmless, sent Dec. 2 to Fox News and to a number of conservative media commentators. Additional tests will be done on the powder, which was thought to be flour. The FBI in Knoxville said another letter with powder and a Knoxville postmark was received at Harvard Law School in Massachusetts, addressed to political commentator Alan Dershowitz. He recently published an opinion piece in the Journal defending Israel's actions in Gaza. Police closed the fifth floor of the building that houses Dershowitz's office, and classes were moved to another part of the campus, a university spokesman said. Harvard Law School said in a statement Wednesday evening that preliminary tests by the state police lab found the material was not hazardous, and the building would be open Thursday. 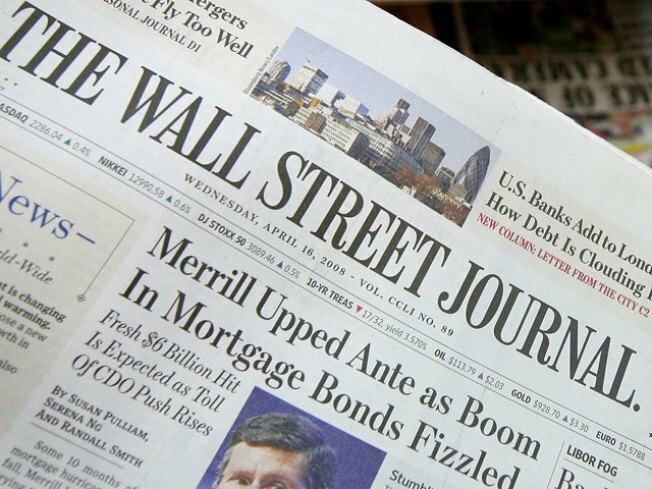 The Journal is published by Dow Jones & Co., a division of the media and entertainment company News Corp. The FBI Joint Terrorism Task Forces in New York and Knoxville in partnership with the United States Postal Inspection Service were investigating the incidents. The Department of Homeland Security was monitoring the situation.